Childhood development and primitive reflexes. When one looks at motor skills development from a chiropractic point of view the subject of primitive reflexes springs straight to mind, as the two are linked in so many ways. Whilst it would be possible to write many an essay on this fascinating subject, I shall refrain and instead briefly discuss a couple of examples. I shall reference some great books at the end for those that wish to read further into the subject. So let’s start at the beginning with some information on spinal development. When looking at an adult spine from the side there should be a series of curves that are essential as our shock absorption system. When a baby is born however, their little spine all curves in the same direction, therefore these reverse or ‘secondary’ curves need to develop. The way that this happens is when baby starts to lift their head unaided and then push themselves up on their arms whilst lying face down. These actions encourage the reverse curves in the cervical (neck) and lumbar (lower back) spines to develop. These curves should start to develop before your baby spends too much time upright. 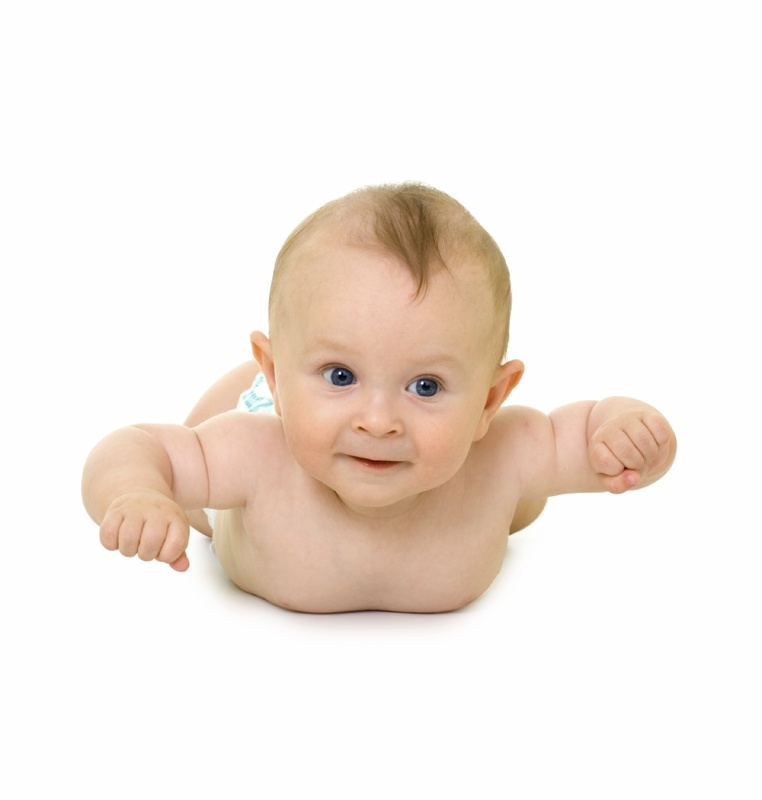 It is therefore important for motor development that your baby has regular tummy time. This doesn’t always have to be on the floor (they aren’t always that keen on lying facedown, but that is part of the point as it encourages them to lift their heads), it can be lying facedown on top or mum or dad. Tummy time can start from the word go, depending on how long your baby will tolerate. To give an idea though, research suggests that a 3-4 month old baby should be getting at least 20 minutes a day. One of the motor milestones that tummy time is essential for the correct development of is crawling. As most of you will know babies discover numerous methods of getting from A to B, including crawling, ‘commando crawling’, ‘bum- shuffling’ etc. An even, symmetrical crawl is important for the later development of your baby’s cross-body co-ordination, which in turn is essential for further skills such as running, sports and ball throwing. Whilst it is very difficult to teach your baby to crawl if they have decided to ‘bum-shuffle’ it is perfectly possible to simulate the movements with certain exercises/ activities to help your baby’s brain develop its communication between each hemisphere (side). Even if your child seems very keen to walk and starts to do so early, try to get him or her crawling if possible. Giving them a baby-walker too early can load the spine in a way that it is not yet ready for. There are different types of reflex. You may well know of deep tendon reflexes (DTRs), which is when your leg flings out when your knee is tapped. Or spinal reflexes which are when you pull your hand away from a heat source before your brain has released you’re getting burnt. In a nutshell, a reflex is something that happens without your conscious thought. A third type of reflex called a primitive reflex is what I want to briefly discuss here. These are the reflexes that are essential for baby during the birthing process and for survival in the early months. They should then disappear during early childhood (all at different times). A couple of examples include the Rooting and Sucking reflexes. These allow your baby to feed without effort in an efficient and relaxed fashion. Babies who do not have a strong sucking reflex find feeding more difficult and tiring and sometimes struggle to feed well at all. (If you have any concerns about your baby’s sucking or feeding speak to your health visitor or chiropractor.) Other examples of these reflexes include the Palmer reflex (babies have the ability to grip very strongly with their hands!) and the Moro/ Startle reflex. The final primitive reflex I wish to mention to you is called the Asymmetrical Tonic Neck Reflex (ATNR). This is where baby’s head turns one way, the arm and leg on that side will straighten. This helps baby down the birth canal. It also helps with early hand-eye co-ordination. It should start to disappear at 6 months of age. If this reflex does not disappear/ is retained, then problems arise with cross-body co-ordination, laterality/ side dominance and hand-writing. This is where the link between motor development and neurology gets interesting. Each reflex can have an effect on a different area of motor development if it is retained past its normal point of disappearance. Therefore it is a fine balance between different areas of neurology and learning new skills that allows your baby to develop at such an amazing pace – 65% of neurological development takes places in the first year of life. Whilst the exact timing of many motor milestones can vary, meaning babies should not be compared too closely with their piers (i.e. the normal age range for walking is 10-18 months), it is important that they are met to allow neurological and motor development. This allows your baby to develop to his or her optimum potential. Is Musculoskeletal Pain affecting the UK economy? I’m not sure about you but these statistics worry me. Chiropractic care should be part of every body’s primary health care regime. 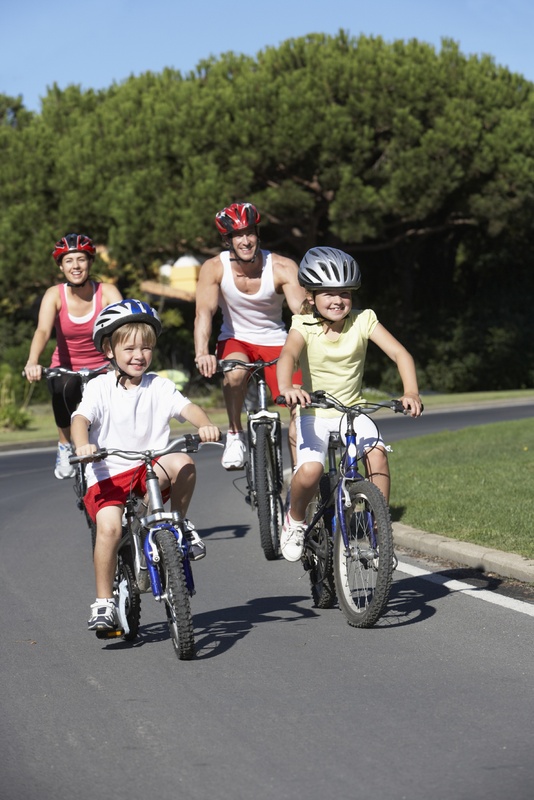 With chiropractic care musculoskeletal disorders can be effectively managed and treated. Are you or anyone you know suffering from neck pain or stiffness? Many of us spend hours driving and sitting at desks which can cause our postures to become poor and consequently result in more tension in our muscles and joints. It is no surprise that neck pain is the second most common condition treated by chiropractors. Neck pain can result from abnormalities in both the soft tissues (muscles, ligaments, and nerves) of the neck as well as in the joints of the spine. This could be as a result of wear and tear or also from muscle strain. These can both be a trigger of pain that spreads into the arm and also a cause of headaches. Research (Bronfort Report, 2010) has shown that chiropractic treatment including manipulation, mobilisation, soft tissue therapy and home exercises can be used to successfully treat neck pain by restoring normal function and movement to the joints in your spine, and by relieving muscle tension. Book an appointment with our chiropractor Hannah to see if chiropractic care can help you, as a new patient you will receive a special rate of £45 (normally £57) for the initial consultation including a treatment if appropriate. Are you or anyone you know suffering with hip or knee pain due to osteo-arthritis? In people affected by osteoarthritis, the cartilage (connective tissue) between their bones degenerates over time leading to stiff and painful joints. The hip and knee are two of the most frequently affected joints. Research shows that pain in the hip and knee that is caused by osteo-arthritis, can be successfully improved with chiropractic care (Brontfort Report, 2010). Treatment involving gentle joint mobilisation and muscle work can help relieve pain and stiffness and improve mobility. Book today to see if you or a friend can benefit from chiropractic, if you mention “condition of the month” then you will receive a special rate of £45 (usually £57) for the initial consultation and first treatment if appropriate. This April 15th – 21st, Chiropractic Awareness Week, The Family Chiropractic Centre is encouraging parents to straighten out their approach to back care as new consumer research shows that 89%* of people in the South West have suffered from back / neck pain at some point in their lives – 64%* of those being parents. The research, commissioned by the British Chiropractic Association, also shows that over half (54%*) of parents in the South West say their back or neck pain has prevented them from lifting or carrying their child. According to these new statistics, parents are not just limited in lifting and carrying their children. 34%* of the South West’s parents said their back or neck pain has prevented them from carrying their child’s car seat or carry basket and 27%* say that back or neck pain has prevented them from playing with their child. 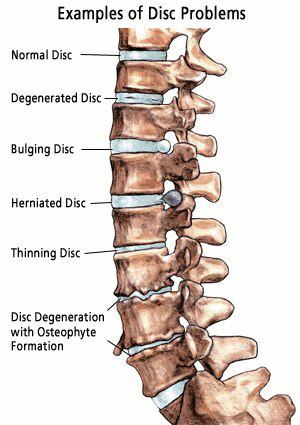 As chiropractors, we have many patients seeking our care after suffering from symptoms of a disc injury (aka a slipped disc). 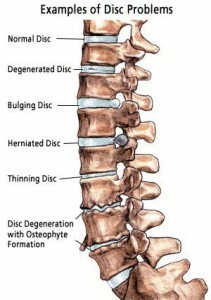 Although this is usually a painful complaint, not all disc injuries have to end up as surgery cases. Depending on the severity of the condition, conservative management with regular chiropractic care has help many patients avoid going down the surgery route, restoring their health to symptom free living. Many people don’t understand much about their discs and injuries, or Degenerative disc disease, so I thought I would share this link to a video I just found. Pregnancy Posture changes and achieving Optimal Fetal Positioning (OFP). One of my focuses when treating pregnant women is helping achieve optimal fetal positioning. A baby’s positioning in- utero is important for many reasons: optimal fetal positioning allows for more comfort, and in my opinion, help a pregnancy to be more enjoyable for both. There is a large school of thought that believes many difficult births may be a result of a mal-positioned baby. This can results in long and painful labours and the use of medical intervention. An ideal positioning, optimal fetal positioning, is when the baby is head down, chin tucked in and the head is aligned up to fit easily through the pelvis. This can be achieved by the mother following a few posture changes. Posture tips to encourage optimal fetal positioning. 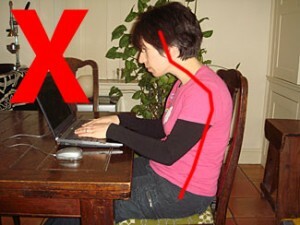 • Don’t sit cross-legged, this decreases the space in the front of the pelvis and pushed the baby backwards. • Don’t put your feet up. Lying back on a chair with your feet up is a BAD position. Knees should never be higher that the hips. This encourages the baby to move to the back of the pelvis and a posterior positioning. Wedge cushions should be used when sitting to tilt the pelvis forwards and lift the hips. Cushions can be bought from many pregnancy outlets and should be used when sitting, driving and dining. • Sleep on your side, not your back (lying on your back puts pressure on your major blood artery). As you lie on your side, place a pillow underneath your bump. This helps prevent the weight of your baby pulling your pelvis forwards; another pillow should be placed between your knees to assist correct alignment of your spine and pelvis. • Swimming is a great exercise. It keeps you fit and helps encourage a good positioning. Lots of front crawl and breaststroke. Always swim with belly down! Breaststroke is great as it helps settle the baby forward and down wards but should be avoided if you have any pubic pain (SPD/pelvic girdle dysfunction). Always check with you midwife or consultant if you have any concerns about swimming. • Spend lots of time kneeling or leaning forwards over a ball. Exercises balls are fantastic for this. Kneeing forwards or sitting leaning onto a ball is a great way to relax in the evenings. Spending time on all fours can also be very helpful! • When in a car have the seat upright and tilt the pelvis forwards using a wedge cushion. Over the next few blogs I want to spend a little time looking at posture. Weather it’s the way we carry our bodies, to our desk set up in the office, our posture has the ability to cause us ongoing grief in the muscular skeletal department. When I’m working with any muscular skeletal strains, I feel it’s really important to look at the underlying cause, and my attitude is: ‘prevention is better than cure’. With so many of us working behind a desk for more than half of our lives, its seems a great place to start, by addressing lifestyle factors in our day to day activities that might actually be causing us a pain in the neck. If someone was experiencing regular headaches, and the treatment they received was the best they could get, but they went home each night and hit their heads against the wall all night, their headaches were bound to return, regardless of how good the treatment they were receiving was. So… If our posture in our daily lives is causing us muscular skeletal strains and pains, it’s worth taking the time to addresses your posture and helps improve and prevent any issues. Your seat should be adjusted so that your feet are flat on the ground or on a foot rest, ensuring there is a slope from your hips to your knees. Your hips must be higher than your knees and your eyes level with the centre of the computer screen. Stretching your legs out under the desk is also fine if you feel more comfortable this way but if you tend to tuck your feet under the chair, make sure you don’t stay in this position for long as this position reduces blood flow to your legs. Relax when sitting into your chair, making sure you have your bottom against the seat back and your shoulder blades are touching the back rest of the chair. The front of the seat should not be compressing against/touching the backs of your calves. Never sit and twist your back to use a laptop. If you have any comments, please do let us know.